One thing that I love to have around my house is educational toys. After working at a daycare for almost 5 years I see the importance of these toys. I prefer to have toys for my children that will teach them valuable skills that they will need and use. Learning Resources understands that and strives to make quality toys that teach valuable skills. Their newest game is no exception! 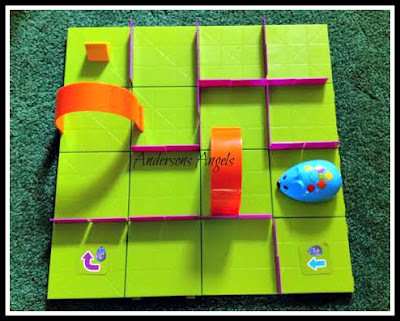 The new Code and Go Robot Mouse Activity Set teaches children the skill coding. In today's world the skill of coding is a very valuable one to know and have. My father in law works for Good Year as a engineer and was very impressed with this set. 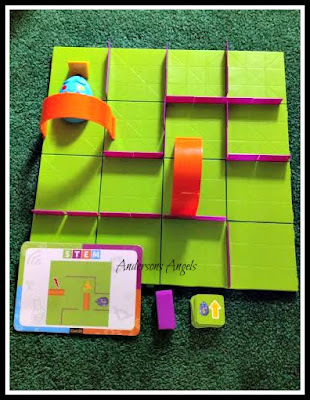 This set allows you to build a maze, and then use the coding cards to create a step-by-step path for Colby (the programmable mouse) to find the cheese at the end of your maze. This set includes 30 double-sided activity cards, cheese wedge, and an activity guide to provide the perfect hands-on introduction to the coding skill. 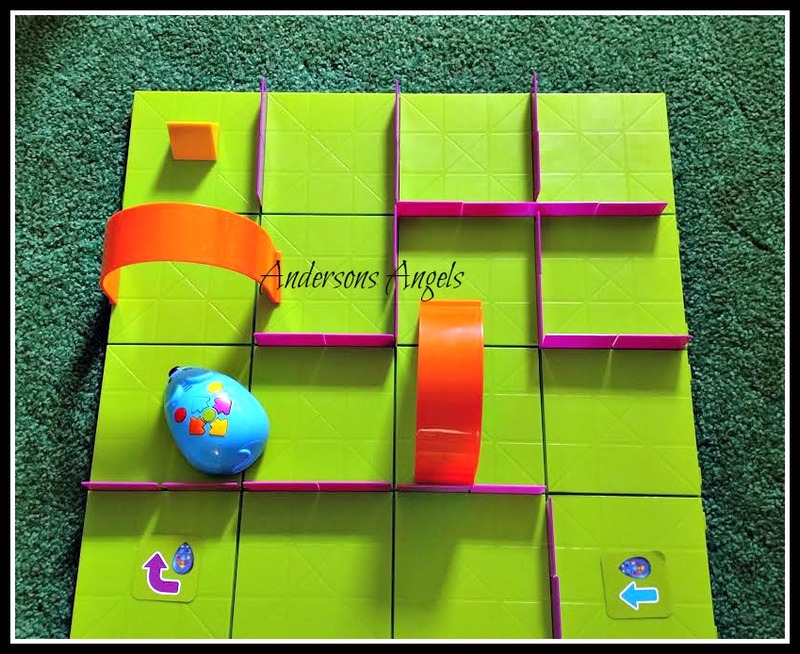 You create your path with 16 maze grids which create a 20" x 20" maze board, 22 maze walls and 3 tunnels for endless maze possibilities. Colby the mouse lights up and makes sounds which my kids loved! It also features 2 speeds along with the colorful buttons to match coding cards for easy programming and sequencing. It took my boys a bit to get the hang of it but once they did they loved creating new codes for Colby. This set would make a great gift for a older child and with Christmas right around the corner make sure you check it out! This set is recommended for ages 5 and up. 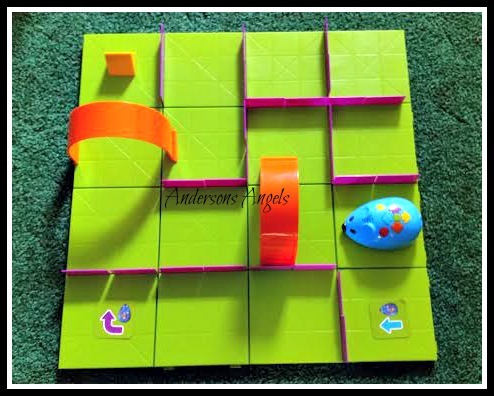 You can win a Code & Go Robot Mouse Activity Set in my Turkey Day Giveaway Event!